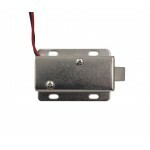 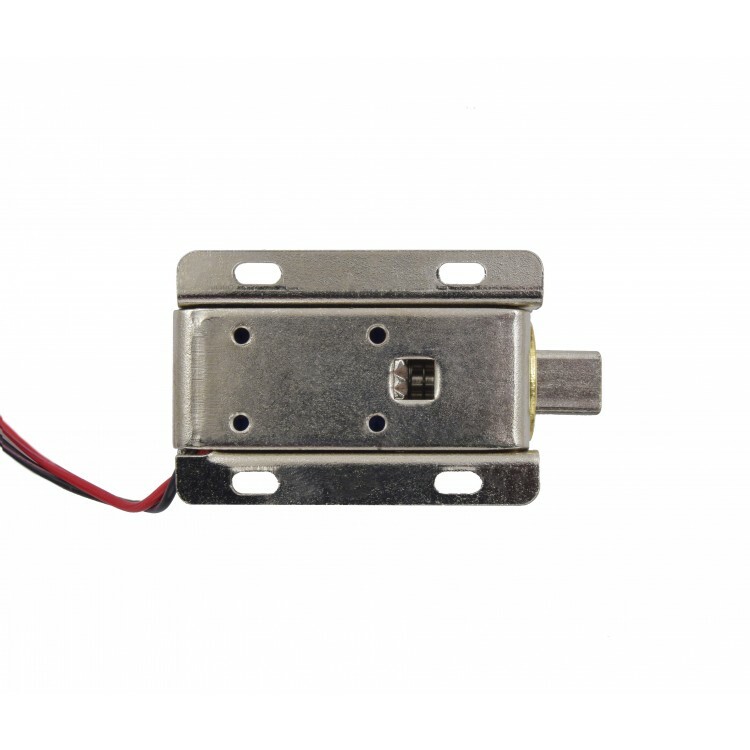 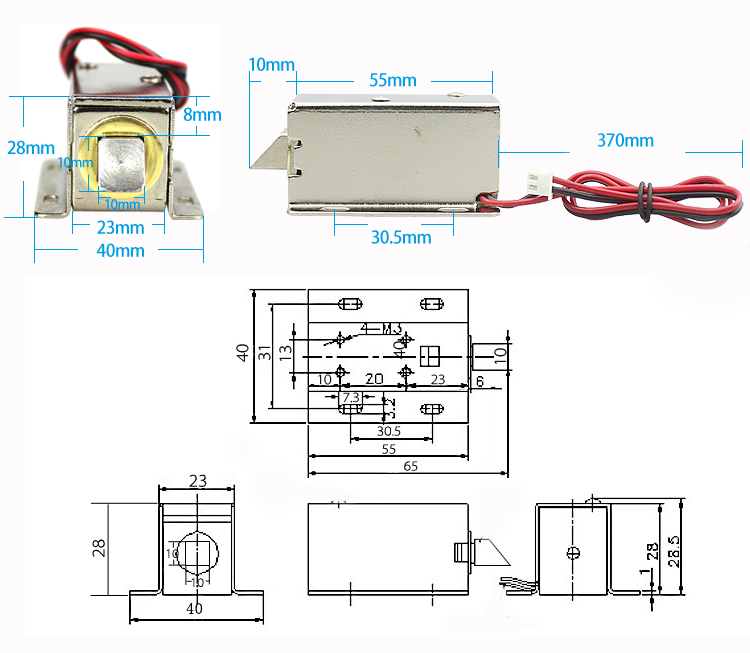 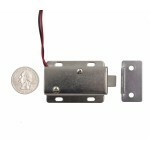 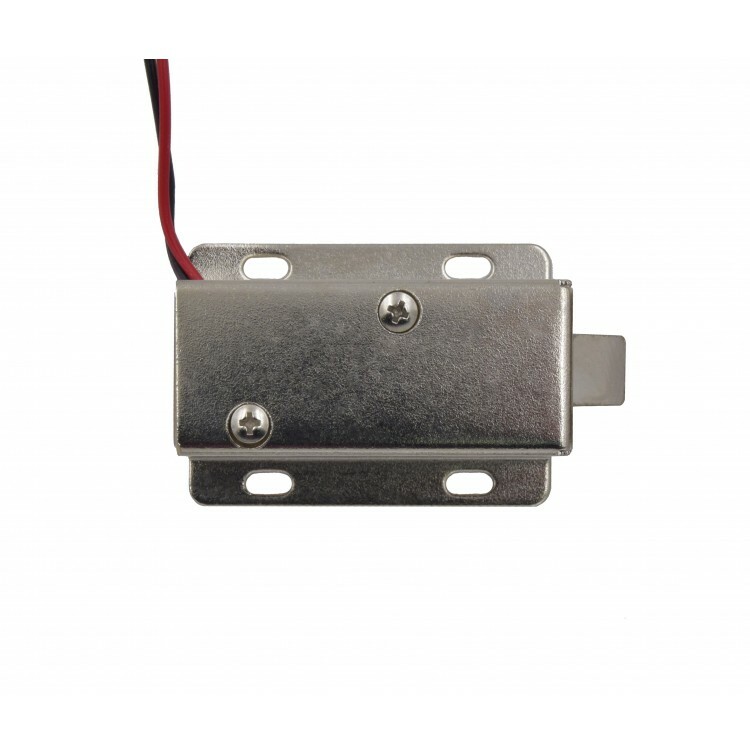 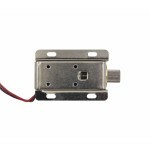 This is a small size electromagnetic lock which can operate with 12V power. 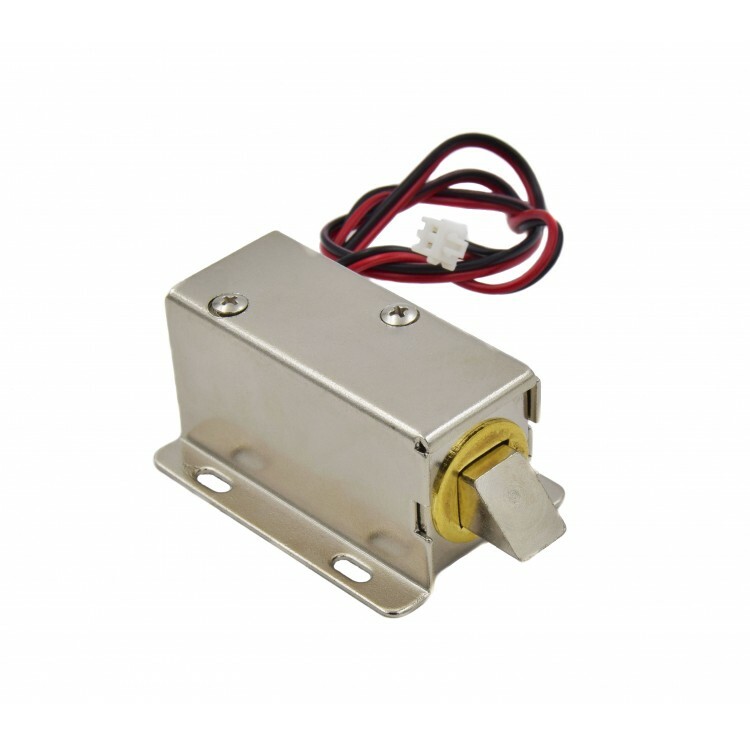 It is super simple to use, just give a power, then the slug will be pulled inside (unlock), releasing the power the slug will return back to the original position (lock). 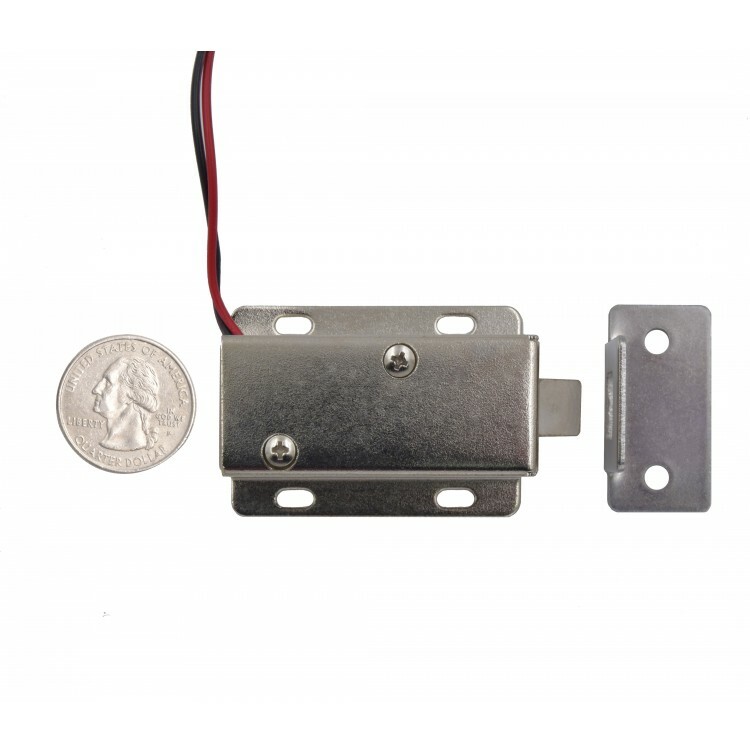 The lock come with the slanted slug, you can easily open it with the two Phillips-head screws and turn it around so its rotated 90, 180 or 270 degrees so that it matches the door you want to use it with.